An update to Vol. 2, pp. 459–463. After an 8-year interval following the excavations conducted at Gamala by the late S. Gutman, work was renewed as part of a development project to prepare the site for tourism. In addition to the excavations, the project included preservation of the buildings, restoration work, and the development of trails. 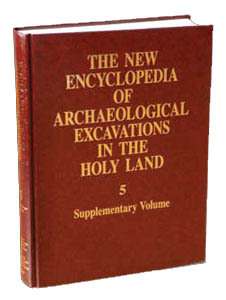 The renewed excavations (1997–2000), directed by D. Syon and Z. Yavor of the Israel Antiquities Authority, focused on a number of objectives. In areas A and G, the excavation of structures partially exposed in the past was completed to enable restoration work. Area BA was opened adjacent to area B, which yielded Hasmonean period remains, in order to elucidate the enigma concerning the abandonment of this area in the late first century BCE. Area K is a new area located midway between the eastern and western quarters. Area S is a new extension of previous excavations. In these two last areas, impressive buildings identified in past surface surveys were uncovered. AREA A. Work was carried out in the synagogue and the casemate wall.